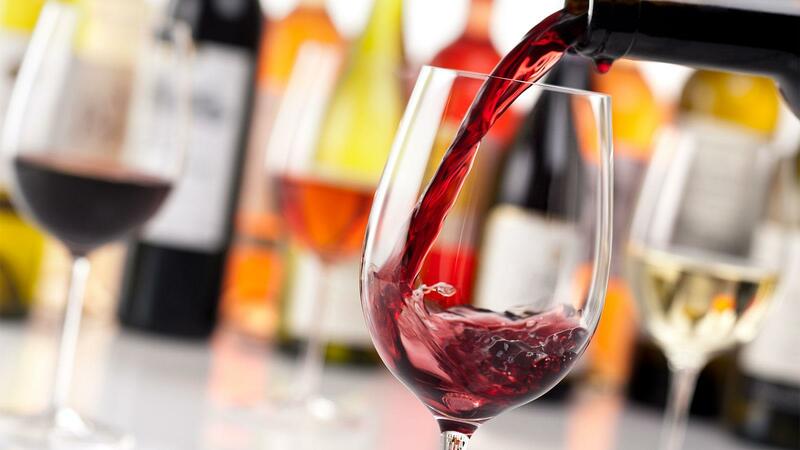 Expanding your wine horizons is a surefire way to have a successful year. Let's face it, you're probably not going to be doing triathlons by the end of the year, nor will you have read a book every week. It's OK, don't beat yourself up about it. Last year, I tried to make resolution-making more fun by recommending wines for each pledge you made to yourself in 2018. But this year, I have a few actual wine resolutions in mind that are easy to put into practice; they're not about deprivation or restrictions, but rather about pleasure and learning. Have you already made a wine resolution for 2019? Tell us about it by taking our poll. 1. Have a house wine. If you're the kind of wine lover who wants to discover as many new producers, regions and types of wines as possible, that's wonderful. We should all be doing more of that. But having a go-to bottle of wine that you love and that's comfortable (and under $15!) is a real asset to both hosting and winding down with a drink at the end of a long day. You can buy it by the case and always have it on hand, for the times when you're too tired to rootle around your local wine store, or when you have friends show up for impromptu drinks or dinner. To keep from getting bored, rotate your house wine seasonally. 2. Visit more local wineries. No matter where you live, it's important to support local businesses. Unless you live in Napa Valley or another highly regarded wine region, you might not have thought much about grapegrowing in your area—but you should. Wine is made in all 50 states, so the likelihood of one or several wineries being within driving distance of your home is high. Sure, it might not always be as serious as what you have stashed in your wine fridge, but it really doesn't matter. People used to look down on wine from California, and look where it is now. Your local winemaking region could grow and improve over years to come, and you can be a part of that by getting to know the producers, supporting them with your purchases and watching them evolve. Even if your home region never becomes Napa, its wines will have a special place on your table. 3. Take advantage of winery direct shipping. If you live in one of the 43 states that allow consumers to receive direct shipments from wineries, you should not let that privilege go unused. Of course, not all wineries are set up to ship, but many of them do. I can definitely rely on my local wine shop to stock up on many domestic producers, but I tend to forget that I can actually go straight to the source and get harder-to-find bottlings delivered to me in New York. I've vowed to do this more, especially with producers that I've long been meaning to try and haven't yet. 4. Put yourself entirely in the hands of your retailer or sommelier. Some of us geek out reading through a restaurant wine list or browsing the aisles of a specialty wine retailer to find a particular wine we're in the mood for. It's part of the fun. But it might be even more fun to cede control every once in a while. Go to a wine store or restaurant, tell the salesperson or sommelier how much you want to spend, and let them pick out something for you completely blind. They will likely choose something they're excited about, maybe something they've put in their inventory at an especially attractive price because they care about it and want it to be discovered. With this tactic, you're bound to try something new and forge relationships with the people who sell you wine. 5. Throw out the rulebook. Drink rosé this winter. And reds this summer. Sip from a stemless glass, and put—gasp!—an ice cube in your wine. Serve a white with steak and a red with fish. Open that special bottle on a Tuesday. Order a wine from Bulgaria (if someone put it on their list, it's for a reason). Just do what feels right. You'll be better off for it. Cheers to great wines in 2019!